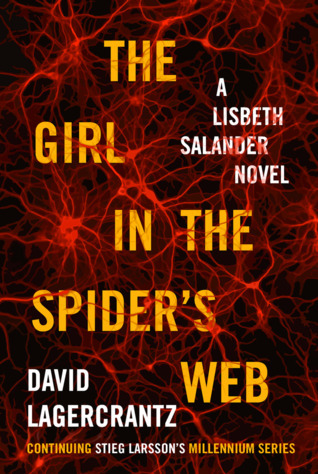 Today I'm featuring my current read, The Girl in the Spider's Web by David Lagercrantz, borrowed from the library. This story begins with a dream, and not a particularly spectacular one at that. Just a hand beating rhythmically and relentlessly on a mattress in a room on Lundagatan. Yet it still gets Lisbeth Salander out of her bed in the early light of dawn. Then she sits at her computer and starts the hunt. I waited quite a while for my turn at this book. 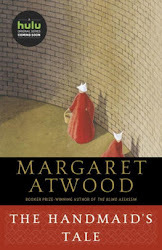 I loved the first three books in this series, which were written by Stieg Larsson. Thus, I opened this book by a new author with a bit of trepidation. Could he continue the characters and story line in the same superior way? I am a little over 100 pages in, and the answer for me is a resounding yes. First Chapter ~ First Paragraph #129 was originally published by Catherine for bookclublibrarian.com. This post cannot be republished without attribution. Retweeting and sharing on Google+ encouraged.